From the cottage, you will have the opportunity to enjoy beautiful rambles on marked tracks through the countryside. Angers, 35 minutes away: city of arts and history (castle, the Apocalypse tapestries, Jean Lurçat museum...), entertainment, concerts. Château-Gontier, 20 minutes away: towpath on the Mayenne, boating. Laval is 50 minutes away, Rennes is 1 hour away, and Nantes is 1 hour and 30 minutes away. The Fontevraud abbey (1 hour 30) is a unique place that puts together architecture, history, culture and entertainment. 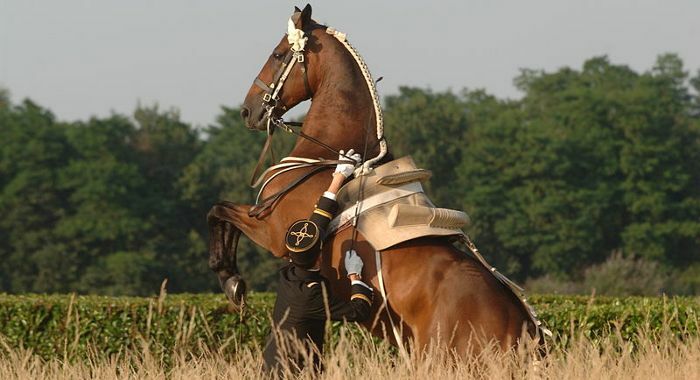 Le Cadre Noir of Saumur (1 hour away): discover the elite of traditionnal french horseriding. Le Haras National of le Lion d'Angers (20 minutes away): admire the national stallions, discover the stud farm and its activities related to breeding, the broodmares, and care. Showjumping events are organised regularely on racecourses in Segré, Craon, le Lion d'Angers, and Angers. You may also have the opportunity to ride horses nearby the cottage. Terra Botanica is an amusement park focused on plants: the perfect place to spend a great family time while learning and having fun. La mine bleue is an old 130 meters-deep slate mine. By taking the tour, shows and activities will make you discover the work and the life of the pit workers. The site is only 15 minutes away from the cottage. A day of relaxation is awaiting the whole family just a stone's throw from the cottage! La Petite Couère is an open air museum that combines heritage and discovery of nature. Among other activities, animals can be seen in a vast park. Mondial du Lion is an international eventing contest. It takes place every year during 4 days in the end of October, in the national stud farm of le Lion d'Angers (20 minutes by car). It gathers evey year more than 40,000 visitors as well as a hundred top-level horsemens and horses. The contest's key event is cross : horsemens enrol to ride a 5 kilometers - track across the beautiful surroundings of the stud farm. People are allowed to follow this track that is bordered by glens, forests, and rivers. The "cider fair" has been taking place every year in February for more than thirty years in the little village of l'Hôtellerie de Flée (2 minutes by car). On the programme: events, entertainment for young and older people, craftsmen, thousands of local produce to taste, and last but not least: cider! 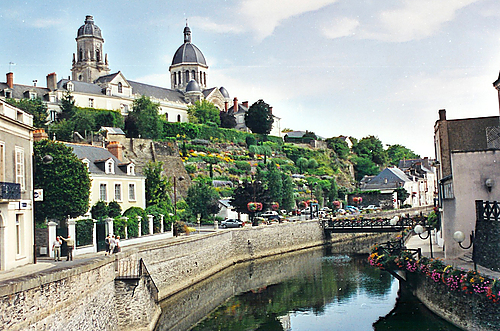 Come to this great and friendly fair and discover Haut-Anjou's know-hows. The key event is certainly the organized walk that gathers every year more than 600 striders on a 5 kilometers track with general knowledge questions, logic, observation, and wooden games made on purpose. Take a chance to win one of the many prizes!